DJ EXPO 2013: Rane Corporation started life in the basement of one of its founders in Washington State, in 1981. The company made its first DJ mixer in 1984 upon request from Richard Long of Richard Long & Associates, who was a famous sound designer for some of the biggest names in disco including Studio 54, Annabels and Regines who wanted his famous X300 crossover redesigned. This became the X3000A, which was rapidly followed by the Q5000 DJ equalizer. Richard persuaded Rane to research the DJ mixer market, leading to the production of its first DJ mixer the MP24 that went on to become an industry standard. After creating more DJ products, in 1998 Rane got involved with four talented turntablists who introduced the company to their art and asked them to build their dream mixer. Thanks to Rane's detailed observations of how DJs worked and what would best suit their art, the TTM 54 Performance mixer was born, combining features, control locations, fader feel, dial size and feel, and more. 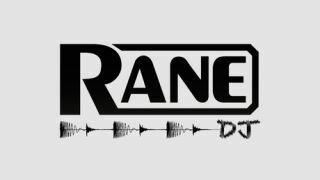 The biggest names in the DJ world now use Rane. With our products continously evolving, we belief the mixer is no longer just a tool, but a vehicle for self-expression and a musical instrument in its own right. Rane was there at the start and, with our passion for producing products that DJs need and want, will be there long into the future. For the NBA halftime show of the Denver Nuggets vs. the Golden State Warriors, DMC World Champion and VH1 Master of the Mix cast member Chris Karns attached a GoPro Hero3 camera to his DJ setup featuring the Rane Sixty Two mixer. How cool is that? Just hit play, sit back and watch the master work. This amazing video features the 2012 online DMC champion Fong Fong from France and his brother Mart-One showing off their skills on a Rane Sixty-Two mixer. This is tag-team scratching at its finest. Not only did they nail every scratch without missing a beat, they also worked in the phaser effect within the Sixty-Two! With such stellar products, it's no wonder Rane are home to some of the best DJs music has to offer. Check out their artist list and be sure to get involved with their vibrant, active community.